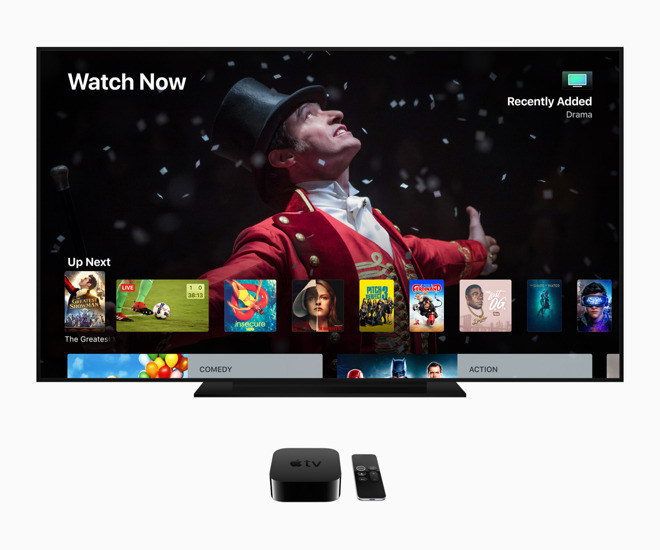 Not seeing the connection between the AT&T promo and Apple's willingness to "take a hit on Apple TV profits." Seems like pure speculation that AT&T is receiving a discount on the Apple TV's it is offering customers. Last Fall AT&T ran a deal for AT&T customers you could get an ATV 4K for $99, for a limited times. When tried ordering on my phone and webform was bit difficult to use on mobile so I went to my computer and tried ordering. But AT&T said it was no longer available and they were out of stock. I went back to my phone and it still let me order on my phone, I order 2 and dealt with their bad web form and I was able to get them. It took longer than they said to get but they still honor the order even though they claimed to be out of stock. Look like AT&T is really pushing ATV for Apple. This offer is only for a limited number of people since AT&T fiber is not available in most places. I am DTV subscriber and have been for a long time, i was thinking of jumping onto the DVT Now offer, but it still has lots of limitation, like DVR, they do have it now, but cloud based and you have to pay extra for the amount of storage you want, also DVT Now only allows two device to stream at one time, I have 3 TV in the house which could be on at the same time, as well as I stream to my phone or Ipad. As I have made known before I am an AT&T retiree. I worked in a Central Office where all the hardware for this stuff lives. According to my former colleagues AT&T has decided the future lies in fixed wireless 5G and fiber to the home deployment is being wound down. But if AT&T does what Verizon is doing and makes fixed wireless 5G expensive and limited (namely $70/mo with a very small data cap) this is idiotic with a capital “I”. AT&T fiber still not available at my address, and since Google Fiber is pulling out of my area, it likely won't be for the foreseeable future. I have Verizon FiOS broadband+Phone and DirecTV Now for TV. Works Great. I don't think 5G will be ready for another year and when it is ready, it will not be offered at faster speeds than Fiber to the home. Companies that had trials of proprietary 5G are pulling back. I have DTV Now. I've had it since the beginning so I have a pretty good deal on there Gobig plan since I'm grandfathered in. I have my Apple TV 4k hooked up on ethernet and it has been running very stable for the last year. Haven't had any issues watching sports or events. I think certain channels they broadcast it at a higher frame rate too football looked really sharp this year. Much better than in the beginning when it would shutter or pixilate a lot. Haven't heard on there 4k rollout yet. for $5 a month extra you can stream on 3 devices at once so that's not a limitation anymore. DVR for 20 hours is included for free at least on my plan. With taxes and HBO for $5 extra I get 105 channels for $45 a month so I don't have any complaints. Verizon’s upcoming 5G home internet does not have a data cap, and it’s $50 for current customers, or $70 (I think) for non-Verizon customers. It’s promising around 300 Mbps speeds. I’m currently paying $55 for 50 Mbps through my cable company for internet only. When it finally gets deployed in my area, I’ll give Verizon’s 5G home a try. If it works well, I’ll finally be able to dump my cable company. As for TV service, I had DirecTV Now since right after it launched, and ended up grabbing 2 different ATV deals when they each launched. There were still too many issues, especially with DVR, that I dumped it for Philo TV for $20 per month.